Visit the Shop section of this very blog and click your way through our list of stallholders that you will find on market day. Start drafting your shopping wish list. Perfect opportunity to tick off some of your Christmas shopping load. Try and leave the pram at home. 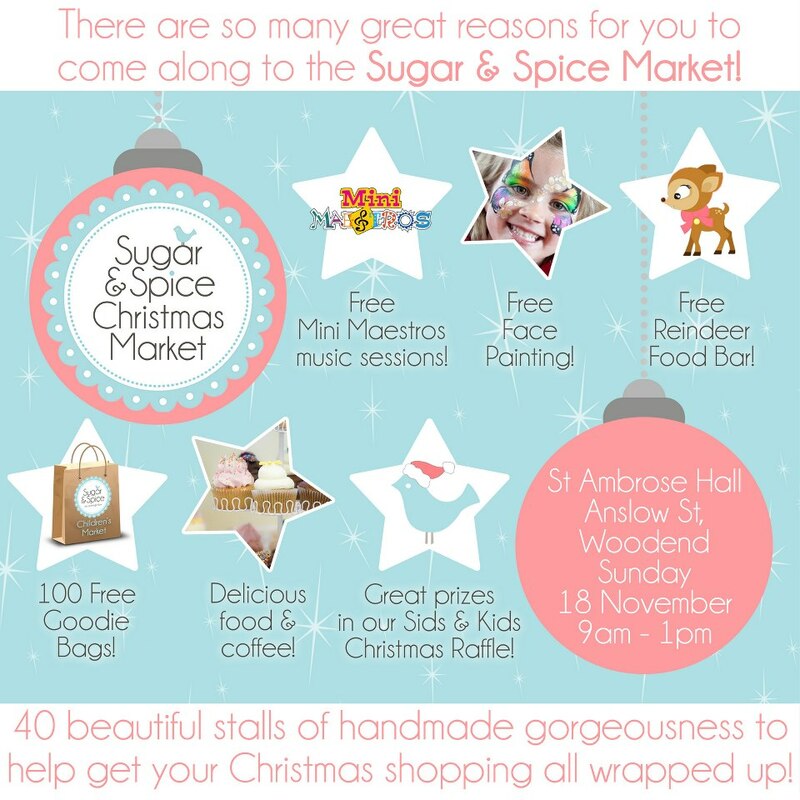 We wish St Ambrose Hall was twice its size but sadly it's not. If you want to be able to navigate your way around the hall with ease, while checking out each and every stallholder try using a baby carrier or baby bjorn - you will be thankful. 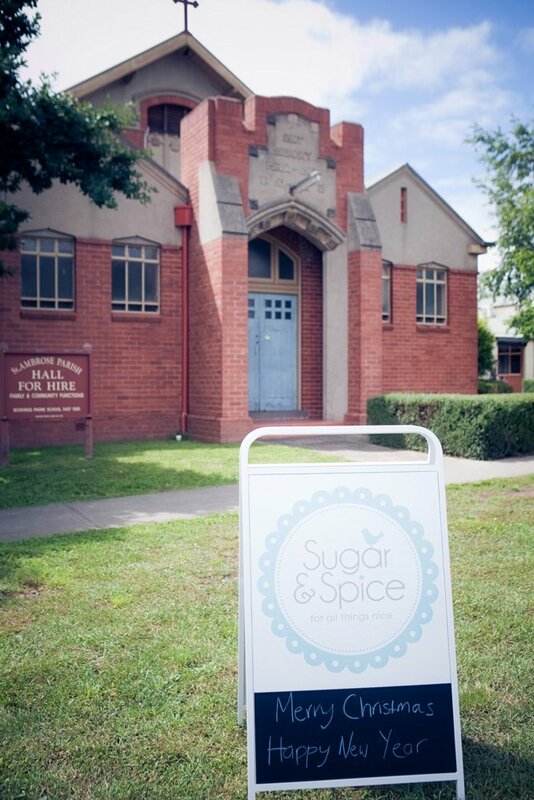 Type 'St Ambrose Hall, Corner of Anslow & Templeton Streets, Woodend' into your GPS. Our market is a couple of streets away from Woodend's main shopping village and this will help lead you straight to us. Visit an ATM before coming, we don't have one on site. Although some stallholders have their own eftpos machines, most take cash only. Come early! 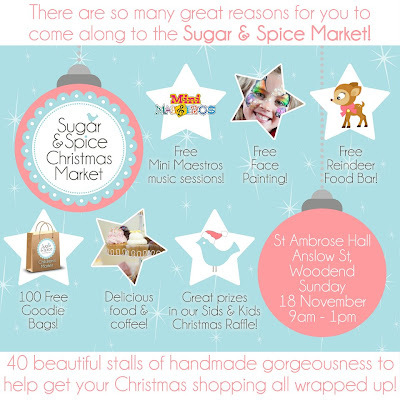 We have 100 of our gorgeous goodie bags to hand out free to the first 100 shoppers through the old church hall doors. With goodies from Coles Baby & Toddler Club and SIDS & Kids inside - who doesn't love free stuff! Do a few laps of the hall. You may have missed something the first time. Each stall is full of treasures that are there for you to find. Stop by Kim Selby Photography's stall and say Hi. Kim is one of our fabulously talented market sponsors, and she is LOVELY! She may even take a quick snap of you and your cute little ones for our facebook page! Hang around between 10am - 12pm as another one of our hugely talented sponsors, Jo from Mini Maestros, will be holding free little music workshops outside the hall for children wanting to take part. Don't be put off by the queue for face painting. Kerriann from Colour FX: Facepainting, our amazing facepainting sponsor, puts her heart and soul into every little face she paints - you will not be disappointed. Her face painting IS THE BEST and your little people will thank you. While in the food room grab a good, hot coffee from Jo from Wild Espresso. Then move on to Aunty Em's Cakes for some of her delicious cupcakes. She will even have a selection of hot food at this market. Take a seat at our food room tables enjoy your cupcakes and coffee with a newspaper while the kids can colour in their very own Christmas colouring sheet. Visit the Sugar & Spice Reindeer Food Bar. We have enjoyed planning this one so much! Let your kids fill up their very own little bag full of treats that will help Santa's reindeer find your home on Christmas Eve. Christmas is so magical! On your way out stop by our raffle table and purchase some tickets for our big Christmas Raffle. One lucky winner will win this entire prize pack all donated by our lovely retailers. All proceeds will be donated to important charity, SIDS & Kids. Go home put your feet up, and rummage through the beautiful, unique and special goodies you bought that were most likely handmade by the lovely people you bought them from. And finally have a very Merry Christmas!